into dystopian fiction as high speeds. 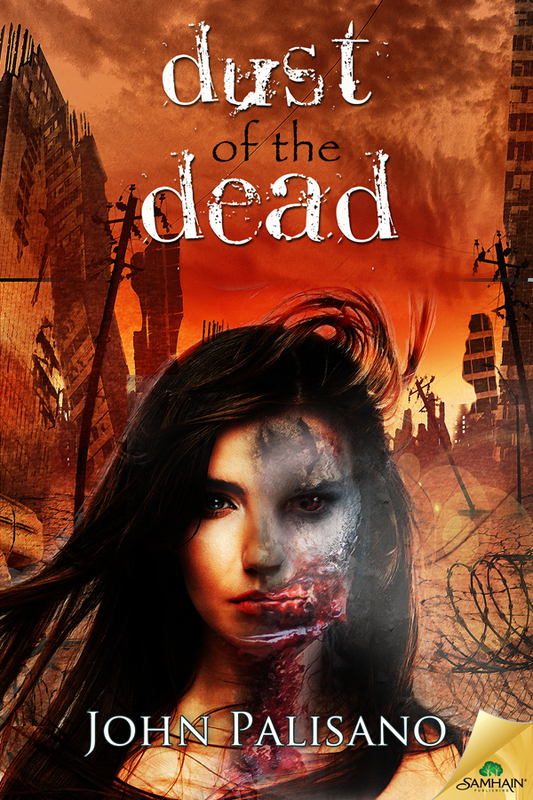 and there’s never been a zombie book like DUST OF THE DEAD. and it’s also one of the best L.A.-based horror novels ever written. DUST OF THE DEAD rocks! through on the promise he showed us in his fantastic debut, NERVES. showing us just how vague that line can be. and John Palisano is fast emerging as one of its leading voices. He delivers the goods, plain and simple. If you’re new to the John Palisano party, jump right in. For a while, it looked like the living had won. The war against the walking dead lasted almost a decade, but it’s mostly over. There are only a few straggling zombies left to take care of. Los Angeles has returned to its lattes and long commutes. It’s up to a small Reclamation Crew to clean up the Zoms left behind. But when the undead dry up, their skin turns to dust. because the Zoms were only the beginning of something far worse.